At the implementation level, the wide variety of pollutants, technologies and approaches means that some projects may require detailed support on specific details. The Technical Guidance section provides links to key sources of information, tailored guidance, and responses to common concerns. TAG provides guidance documents on specific topics related to polluted sites. Members can request TAG prepare technical guidance specific to their needs. Around the world, in low- and middle-income countries, pollution leads to more death than any other risk factor or disease, including smoking, diet, climate change, HIV, malaria, or TB. Strategic and economic planning for country programs should focus on this issue – the largest public health issue at play, yet generally the least understood. Investment in pollution management and mitigation can reduce national health costs, increase productivity, enhance happiness, promote social cohesion and reduce poverty. Relatively small investments can result in large returns. This note outlines an approach to estimating the scale of death and disability from the wide range of pollution problems that affect many countries. These estimates can then be used to generate a prioritized set of pollution issues. Countries that are wiling to allocate resources based upon health impact can use this approach to develop specific interventions. The process should be undertaken jointly by the Ministry of Health, Ministry of Environment, and Ministry of Finance. Other agencies may also need to be involved. GAHP has been successful at helping countries to identify and begin to deal with the health and economic effects of soil contamination. Similar approaches are now being developed to support countries to come to grips with tackling the broad range of pollution sources that are killing people and slowing development. Risk assessment is a fundamental part of selecting priority projects and then implementing them. A risk assessment can be applied to address health and or ecology impacts and can be carried out in increasing levels of detail, depending on objectives and resources. Risk assessment is a formal and critical step in the implementation of Superfund in the USA, implemented by EPA. Guidance for risk assessors working in this context is provided by EPA. The level of detail provided may be beyond the immediate needs of implementing bodies in other countries but it provides an understanding of the scope and practical application of risk assessment. This guidance addresses processes for implementation of remediation projects, from the point of view of the implementing agent or authority. Projects will have to be consistent with the specific procedures of national authorities and/or with donor requirements but broadly similar approaches would generally apply to all projects. The note provides a possible agenda for discussions on the preparation and implementation of the project. Description: This Guidance Note addresses the main elements of a program for identification and prioritization of remediation interventions. The specific components must reflect the national systems, legislatoin and institutions but there are a number of steps which will be common to most situations. This guidance addresses the selection and use of “screening levels” in prioritizing contaminated sites for remediation efforts. It responds to requests from agencies for advice for situations where there are no national screening levels to apply. 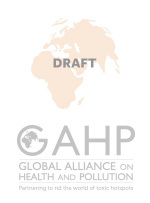 GAHP Guidance Notes provide information on international good practices and regulations in remediation. They are prepared to assist GAHP members in dealing with practical problems of remediation of polluted sites and are intended to assist readers to identify key points that should be taken into account in reviewing or approving any proposal. This guidance addresses the appropriate use and the key design elements of onsite engineered containment systems, where this is an option for lead-bearing material collected during the process of remediating lead-contaminated sites. Contaminated Site Clean-Up Information (CLU-IN) provides information about innovative treatment, characterization, and monitoring technologies to the hazardous waste remediation community. Developed by the U.S. Environmental Protection Agency (EPA), CLU-IN is intended as a forum for all waste remediation stakeholders.